The U.S. Army Medicine Civilian Corps is comprised of civilian healthcare professionals employed by the Federal Government. Civilian Corps employees serve our country by caring for Army service members but are not subject to military requirements such as "boot camp," military uniforms, or deployment. Provide health care to military personnel and families. Work within a global network of treatment facilities. Are not subject to deployment or military requirements. 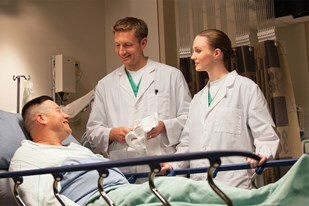 Practice your specialty with one of the largest health care networks. The Civilian Corps provides world-class health care at more than 70 military facilities across Europe, Asia, and the United States.